Use as many means to engage with the labor market as you can. Your website, a more general internet job board, and something targeted to the profession of the candidates are all good starts. Get the word out through your employee referral program and let your colleagues know on social media. Use the sourcing method appropriate to the candidates you seek. Don’t use a professional networking site like Linkedin.com for candidates who are not career-oriented. Make sure your hiring managers and selection team know how to interview properly. This not only guarantees you don’t get into legal trouble when people ask illegal questions, but also helps them successfully uncover information about the candidates. Always be on the lookout for good talent. Connect with people at trade shows. Stay engaged on social media. Source continuously. Participate in events that help showcase your company to the labor market. Finding the right people at the right time to serve your customers the right way is more of a process than an event. It takes work and it takes dedication. If you haven’t done so, consider adding a talent acquisition or recruitment specialist who can keep your talent pipeline full. Also think about talent pro-actively, instead of only when you have an opening to ensure you have the right people when you need them. Do you have questions about effective talent acquisition? 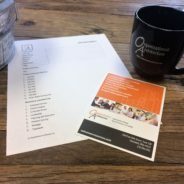 If you need assistance with this or other human resource needs, contact us and check out our blog for more helpful resources.